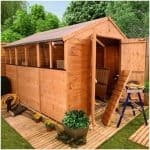 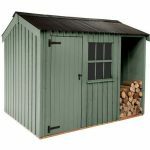 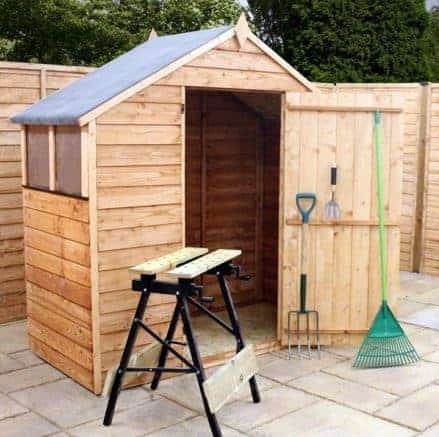 This is a 4 x 6 apex garden shed. 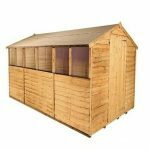 Unlike other sheds in this particular area of price and style, the apex roof is truly large, and this brings you plenty of headroom in the building. 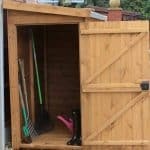 If you have extremely large items in your garden that are also tall, this allows for their storage. 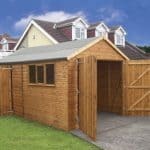 The building has 7 mm overlap cladding around it, preventing rainwater entry and therefore prolonging the life of the shed. 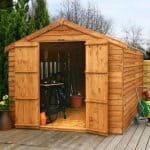 And anti-rot guarantee that lasts for 10 years comes as standard.